New (2016) Atari 2600Jr Select & Reset Switch Mylar 29 days, 07h:14m:51s £3.50 Buy now! Commodore Amiga Dailydouble HorseRacing by Artworx Software 6 days, 01h:21m:24s £2.99 Bid Now! 20 x Rubber Feet for Sinclair ZX81 or PSU 9 days, 09h:58m:21s £6.50 Buy now! Sinclair ZX Spectrum Game: Stunt Bike Simulator	 0 days, 09h:38m:21s	 £1.50 Buy now! Sinclair ZX Spectrum Game: Turbo Boat Simulator	 0 days, 09h:38m:21s	 £1.50 Buy now! Sinclair ZX Spectrum Game: Stonkers	 0 days, 09h:43m:25s	 £1.50 Buy now! Sinclair ZX Spectrum Game: Alchemist	 0 days, 09h:43m:25s	 £1.50 Buy now! Sinclair ZX80 / ZX81 Fanzine: MONOCHROME (issue 3)	 0 days, 20h:25m:35s	 £0.75 Buy now! Sinclair ZX80 / ZX81 Fanzine: MONOCHROME (issue 4)	 0 days, 20h:25m:35s	 £0.75 Buy now! Sinclair QL Wargame: Grey Wolf	 0 days, 22h:14m:41s	 £8.00 Buy now! Sinclair QL (Digital) Box-Set - QL Games 2	 0 days, 22h:14m:41s	 £15.00 Buy now! BetaGamma BBC 8 Bit IDE Compact Flash Kit	 0 days, 22h:14m:41s	 £38.00 Buy now! Jupiter Ace ZXVid - Composite Video/ULA Fix (FITTED)	 0 days, 22h:14m:41s	 £45.00 Buy now! Sinclair QL Puzzle Game: Double Block	 0 days, 22h:14m:41s	 £5.00 Buy now! Sinclair QL Adventure Game: Aquanaut 471	 0 days, 22h:14m:41s	 £8.00 Buy now! Sinclair QL Arcade Game: Stone Raider II	 0 days, 22h:16m:13s	 £5.00 Buy now! 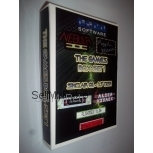 New (Old Stock) Atari 2600Jr Select & Reset Switch Mylar (OEM)	 0 days, 22h:16m:13s	 £3.50 Buy now! Sinclair QL (Digital) Box-Set - QL Games 3	 0 days, 22h:16m:13s	 £15.00 Buy now! 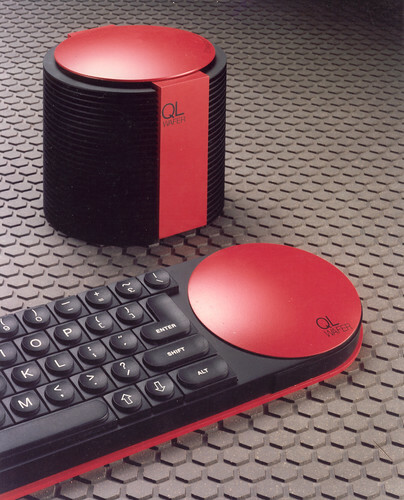 Sinclair QL (DIgital) Box-Set - QL Games 1	 0 days, 22h:16m:13s	 £15.00 Buy now! Sinclair QL (DIgital) Box-Set - QL Games 5	 0 days, 22h:16m:13s	 £15.00 Buy now! Sinclair Microdrive Notepad (White)	 0 days, 22h:16m:13s	 £1.00 Buy now! 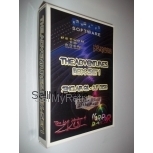 Sinclair QL Box-Set - QL Adventures 2	 0 days, 22h:16m:13s	 £15.00 Buy now! Sinclair ZX / QL Microdrive Cartridge Cover	 0 days, 22h:16m:13s	 £0.50 Buy now!